We are currently seeking a qualified native English speaker (NES) to fill our full time Early years Homeroom Teacher position for our Chiangmai campus. If you are a passionate early years educator then this may be the role for you! SISB Chiangmai is a brand new campus located in the very centre of Chiangmai in between the busy Nimman road and the beautiful, historic Tapae gate area of the old city. A full role description is available and will be sent to interested applicants. Please note that SISB Schools have a transparent recruitment process which includes completion of an application form prior to interview. We will be asking for references. One of your references must be a line manager in your last place of work. 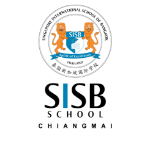 SISB Chiangmai is a fantastic place to work and develop professionally. Our campus is newly built and is the only campus that complies with US standard, green, ecologically sound building standards. We aim to cultivate a professional and collaborative atmosphere, but also have a real team ethos. A candidate must be a team player with a positive and friendly attitude. Non-Imm B visa and work permit paid for by the school. Thank you for your interest in our school and we look forward to meeting you..